I’ve been at this for a while now. Some games come onto my radar and I am instantly intrigued and follow that game all the way to its release. Some games never pop on my radar until the very last minute, and some fall through the cracks completely. Many never live up to the hype, but worst is when a game I've highly anticipated turns into one I wish had fallen through the cracks. 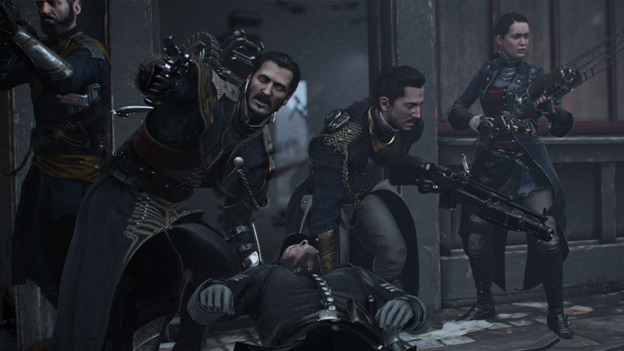 Sad to say, The Order: 1886 is one of those. Let me be clear. Did I enjoy my time with the game? Yes. Did I think that the game’s story was one of the best I have experienced in a long time? Yes. Would I truly recommend it to my friends? Probably not. Here’s why. 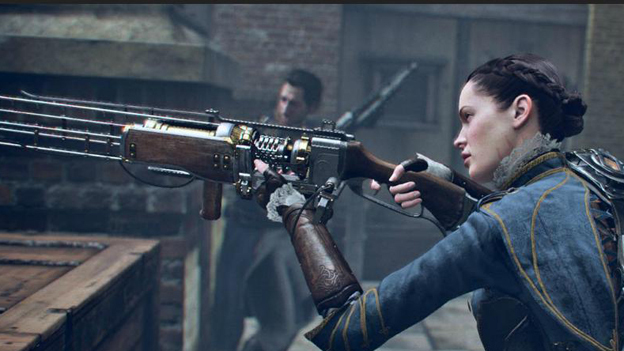 The Order: 1886 takes place in a Victorian London landscape. An ancient order protects the world from things that go bump in the night. These men and women have been around for centuries, some dating all the way back to Arthurian times. They don’t just take on the horrors of the supernatural, they also will shoot down an escaped convict or two if need be. For all you steampunkers out there, if you are looking for some new gadgets and attire suggestions, then The Order is right up your alley. In fact, I would not be surprised if we didn’t see a few of these designs becoming the norm at some conventions soon. You play through the game as Grayson, who also goes by Sir Galahad. You can tell he’s a gruff seasoned member of the order, and maybe that’s why it's easy to resonate with him. Galahad works alongside three other members of the order – Sir Perceval, Lady Ingraine, and Marquis De Lafayette. While I enjoyed these characters and how they were preformed, they almost seemed too generic. For example, Sir Perceval is older than the others and he’s tired of taking “corrupt politics” laying down. Lady Ingraine seemingly just had her training wheels taken off and therefore comes across as a little reckless, but at the same time deeply respects her teacher, who is…you guessed it, Sir Galahad. We've definitely seen these character archetypes before. The game kicks off with a little drowning torture sequence of Galahad that ultimately leads to him escaping, and then we are whisked to a few weeks prior. Yep, I love it when a television show or movie tells you a chunk of the story just to get you hooked. So it seemed automatically I was ready to drool over a story I hadn't cared about until it got to that sequence. Thankfully, the story keeps an interesting pace from the outset, and I have to give credit where credit is due, Ready at Dawn delivered an engaging story that rivals most Hollywood cinematic attempts. The only problem is – they forgot to add the game in as well. I’m sure if you have been on the Internet you know all about the “outrageous game length,” and probably have heard from a thousand and one sites that game length doesn’t matter or it does or that it does in certain cases. Whichever way you lean, I have to put out there, this sort of stuff has never really affected me as a gamer. I loved Metal Gear Solid 4: Guns of the Patriots and championed it for its cinematic approach and near complete fanservice. It’s not the same with this title, though. In MGS4 players could complete the game, then go back in and play around in the levels. Here though, there’s nothing. You play through once, get the story, and that’s it. 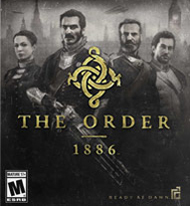 There’s more replayability in watching Buffy the Vampire Slayer than there is with The Order: 1886. Speaking of Buffy, I thought this was supposed to be a horror title. The atmosphere was supposed to exude this intense eerie ambiance to the game. Oh yeah, and there were supposed to be WEREWOLVES! While there are werewolves, and they even have a few fairly badass morphing sequences, it just doesn’t feel like I thought it would. The danger, threat, and fear is all removed due to the QTEs, the tried and true cover system shootouts, the awesome weaponry you get to use, or just all the damn walking! Seriously, they tell you that you can move faster while pressing in the left stick, but this is not always the case, so in several instances you find yourself slowly trudging along while listening to dialogue or trying to get out of a room full of bureaucrats. It might seem stupid to complain about something as trivial as this, but I’ve seen old people move faster in crosswalks.